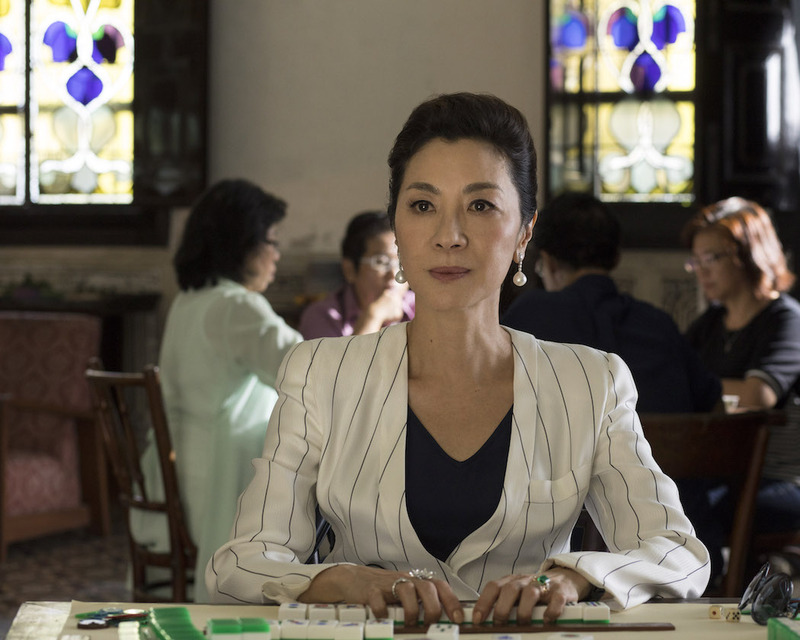 Home / CELEBRITY NEWS / TALK OF THE TOWN / Michelle Yeoh Upholds Family Legacy in "Crazy Rich Asians"
Michelle Yeoh Upholds Family Legacy in "Crazy Rich Asians"
A striking figure—striking terror, some would say—Eleanor is the epitome of poise and polish, flawless from her coiffure to the point of her bespoke shoes, as only the inimitable Yeoh could portray her. Her happiness at having her eldest son home is tempered by the fact that he is accompanied by a pretty, young woman whose lineage is questionable, yet Nick seems to be utterly smitten with her. Eleanor’s thinly veiled attempts to be gracious and polite aren’t enough to hide her obvious displeasure. “Eleanor is what we call in Singapore a ‘lion mum,’” offers actor Henry Golding, and that’s putting it mildly, considering her first meeting with her son’s girlfriend. Rachel (Constance Wu), in a borrowed dress for the occasion, is all warmth and respectful affection, spontaneously offering a hug from which Eleanor visibly recoils. 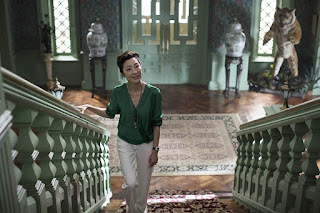 But Yeoh took care to present Eleanor as more than a villain, in a way that mothers the world over might understand. 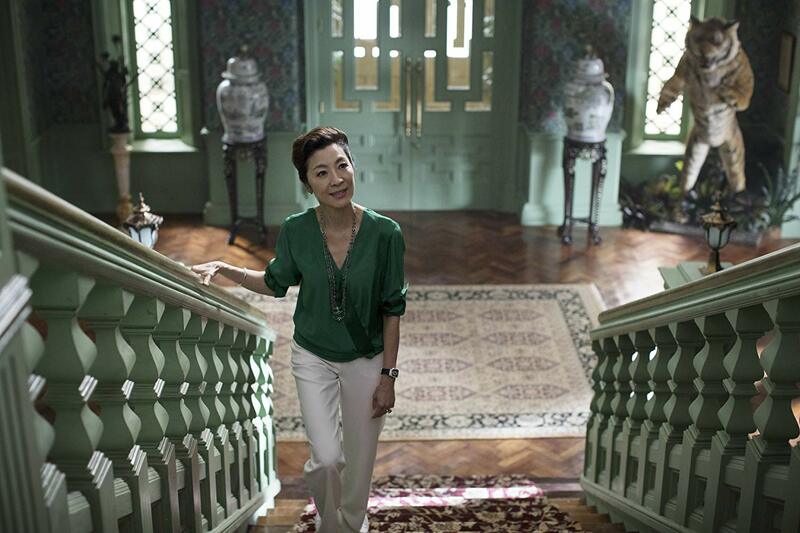 “Everybody looks at her and trembles in their shoes, but Eleanor is a protective and caring mother,” Yeoh says. “She is trying to keep the family together—not just for themselves but for the many others who depend on them. She sent her son abroad for an education but now wants him to come home to assume ownership of their company. Rated PG by the MTRCB, “Crazy Rich Asians” is distributed by Warner Bros. Pictures, a Warner Entertainment Company. 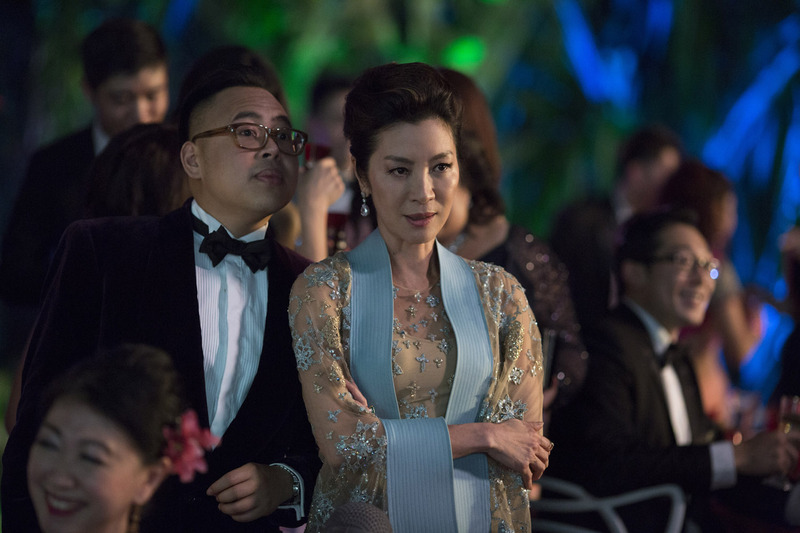 “Crazy Rich Asians” is a contemporary romantic comedy based on the acclaimed worldwide bestseller by Kevin Kwan. Directed by Jon M. Chu, “Crazy Rich Asians” features an international cast of stars, led by Constance Wu, Henry Golding, Gemma Chan, Lisa Lu, and Awkwafina, with Ken Jeong and Michelle Yeoh. The large starring ensemble also includes Sonoya Mizuno, Chris Pang, Jimmy O. Yang, Ronny Chieng, Remi Hii, and Nico Santos.